Falcon.io enables marketing teams working in HQ, local marketing groups or dealerships, and supporting agencies, to collaborate to ensure a consistent brand presence across the different social media types. The platform incorporates complete functionality for social marketing and yet remains simple to use with an engaging, visualisation-based user experience (UX). I love that Falcon has replaced about 6 steps that we used to take to manage our social media. The recent Instagram addition was just the icing on the cake. With over 10 locations to manage at the moment, Falcon really has made the social media for our restaurant a more simplified thing vs the overwhelming task it was when I started out! Falcon has almost become a one stop shop for me, the only thing I am not able to do through Falcon is to manage the reviews that come through via Facebook. I still use Facebook Business Manager for that task. I would love to see that incorporated into the Engage section in the future! With a quick training session with their help squad, it is so simple and easy to use. The Apps for your phone make it so easy to engage with your customers on the go! A game changer for sure! I seriously can't wait for what these guys come up with next! "All in one platform for multi channel social users"
"Most comprehensive social media tool to date"
Ability to quickly analyze the health of social media channels and seamless internal communication. Team organization is a huge plus. Having the ability to "tag/mention" additional team members for quick, concise internal communication is incredible. This allows us to ensure everyone is in the know about anything that may need additional follow up. Nothing to note as of yet. Feels Falcon has thought of everything. One element we are looking forward to is to have PDF/Jpg exports of content calendars for other properties to be able to share their content calendars with Senior Management / General Managers. As well as additional hover over for Facebook extended reactions (love, laugh, cry, angry). What are you waiting for? Falcon is very impressive. You should make the switch as quickly as you can. Ability to glance at all company channels and content calendars in one place. Feeds make for easy engagement with users. Having direct messages in one feed also helps with customer support and / or crisis management. What Social Media Suites solution do you use? "Goof tool with great support"
Falcon offers a set of features that really match our needs - coordinating a number of local teams, each divided into content and customer support people, each with a sufficiently high level of autonomy. More importantly, Falcon offers great support, i can get answers to my questions or solutions to my problems really quick using the chat, and the account team is regularly in touch with us to educate us about features and best practice. It is also a primary way of getting Instagram insights for us. I primarily deal with Measure part of the Falcon suite, and I think it could be improved in a few ways: offering more flexible approach to metrics you want to track or more sensible metrics that are pre-defined by Falcon (e.g. I would really love to be able to see engagement rate based on interactions per reach rather than per page fans number on FB), and I would love to see more flexible and more reliable tools for exporting the data from Measure. We use Falcon as our primary social media publishing platform. It allows us (in the global team) to see what's happening in other countries and ensure consistent planning process. "Easy way to manage multiple brands in one place"
-Easy to set up brand feeds and see comprehensive social feeds across many different brands all in one place. I wish there was more robust Instagram integration (for example, that stories and posts in which your business is tagged were able to integrate with Falcon). This isn't really so much the fault of Falcon as it is with Instagram's API, which will hopefully open up more in the near future. Facebook events and stories are also not able to integrate with Falcon at this point. Lastly, the reporting function is pretty limited, so I don't rely on Falcon for reporting, more so just for community management and scheduling content/managing content approval flows. -Makes it easy to manage multiple social channels across multiple brands in one place. -Makes it easy to manage social channels crossfunctionally. -Makes it easy to manage content planning, scheduling and approval flows across multiple brands and team members in one place. I like that Falcon has a batch upload feature. This makes it easy to upload a large number of posts for our clients in one sitting. I also like the feature that allows you to copy posts to other channels. This makes repurposing content on multiple channels easy. Be aware that reporting is not always accurate. Understand that it is very expensive and you do not always get your money's worth. We solve problems like missing social engagements. Falcon always sends an email right away for any comment, direct message, etc. This allows us to reach out and respond to these users right away. This has allowed us to reach leads faster for our clients. "Falcon Helps Take Your Social Media Management to the Next Level"
Being able to preview your social posts for both the mobile and desktop versions of each platform is something that is invaluable. It helps you better understand what your content will look like prior to posting -- which is something not every social media management option offers. Being able to filter your content calendar on a permanent basis would be welcomed. It's sometimes difficult to navigate the calendar when you're always having to filter out Dark Post content. Utilizing the labeling system is a workaround I'm not too fond of. Go through the extensive walkthroughs and onboarding with Falcon. They have a great staff and are always willing to help you out and guide you through any questions you may have. We're able to provide our clients with great social listening results, detailed reports for the content we're posting to their social feeds, and a good approval system prior to content being posted. "Good customer service (quick) and user friendly interface"
The post planner and the ability to add campaigns on certain dates. Very easy to use. I also really like the comment feature on posts where you can tag other users. The ordering of the posts in planner (from the latest in the day to the earliest). It seems illogical to me to order it this way. I also think the Analytics could be improved. It would be good to be able to export a report in PPT format as most digital marketing agencies need a PPT to send on to clients. For reporting purposes the competitor social bakers has the edge. Use the tag functionality to message clients and other users. We are a digital marketing agency for large global clients. We can manage all our local calendars though Falcon and it massively speeds things up (previously used ExCel spreadsheet). What I like most about Falcon is that it has a very intuitive and collaborative user interface that is complemented by support services and consulting in general. It also offers me real-time monitoring of social networks, customer search queries, sentiment analysis and high activity alerts. All this has helped me a lot when it comes to managing my social networks. It should be possible to make Facebook ads through Falcon. I need to use Facebook to be able to create publications within Falcon and I can not. It should also be integrated with Instagram as it is a great social network. If you have a small company and want to save money and have excellent functionality for your social networks, I recommend Falcon you will really be happy with everything you can do with it. One of the big problems that we have been able to solve using Falcon is that we have instant reports that indicate the number of followers we have increased or the number of followers we have lost, we can also measure the reaction of people when we make a publication through feeling analysis It really has helped us a lot. "Falcon.io facilitates social media management"
The best feature within Falcon is the overview of all social media activities and campaigns in one calendar saved in one central platform. On top of that, the approval flow is also very helpful and gives us full power over the whole posting process. The on-the-go apps just work for people with full publishing permission. For employees, who have to ask for final approval first, they are not convenient. If you are a company with many different channels and have different people working within a channel, this tool is very helpful and takes the stress out of the posting workflow and community management process. The more people involved, the more does Falcon make sense, however, the higher the costs are, due to the user-based pricing concept. We now are the owner of the process and have a great overview about what's going on. Falcon helps us to learn from our other brand's teams because we now have a central stock item platform and go away from silo-thinking. Beside, onboarding sessions help us to broaden the knowledge within our headquarter, as well as with our subsidiaries. The customer support was by far the most amazing customer support across any platform company I've ever worked with. It's been amazing getting such quick help and answer from them. I wish it covered more review platforms like yelp and trip advisor. Consider the limitations that you may run into. For us, the price is perfect for what we get. And you get a LOT for the price. However, we're moving into more review management social care, so having more review type platforms like Yelp, Facebook Reviews, Trip Advisor, etc. etc. etc. is super important for us. At this time, Falcon doesn't have a review management tool yet.... Rumor has it they are getting something in place soon. We've been able to easily pull listening reports for clients in order to strategically help them make business decisions. Reporting is super easy, and the data was easily customizable. "Buyer beware: Dishonest and lacks many features!" Falcon is a platform that on the surface looks strong. A place to manage many platforms, many accounts all in one location. Falcon.io promised many things in the initial sales call, but did not follow through. There are no notifications for social media alerts, you cannot fully engage via Instagram, check-ins and reviews do not show up on the platform. You're honestly better off just switching over to each platform and managing your notifications there. There's literally no reason to purchase Falcon.io if you are using it for brand engagement at all. Shop around and do your due diligence. Demand a demo or a free month to try the service. You will find a lot of holes in their promises. We were looking to consolidate engagements and notifications into one feed. Falcon said that this was all possible, but they REFUSED to give a sample of the platform without paying $12k. Falcon is less effective than just switching over to the native Facebook app, Twitter app, instagram app, etc. and managing notifications organically. We appreciate our call this week, as it helped us understand the source of your dissatisfaction. I would like to clarify on a few points made here, and believe that we can work together in the coming weeks to ensure your team is happy with the service and products of Falcon. First, we are doing a thorough investigation to review what was presented in the sales and training calls, so as to understand what may have been miscommunicated and coach our team members to avoid a similar situation in the future. Social Media Alerts: We have Engage alerts, Assign alerts, Approval alerts, automated reporting emails, listen alerts and daily listen subscriptions. So there are various ways to ensure you stay-up-to-date on what's coming from social channels on our platform. Instagram: The direct DM API is not open, therefore, Falcon nor any other similar vendor would be able to provide this to you. Nonetheless, with Falcon you have some of the more advanced publishing and measuring features currently on the market. Falcon vs. Native: Over 1,500 companies worldwide use Falcon today because it gives them the opportunity to unify their social media actions. especially for companies managing multiple pages or multiple clients this saves a lot of time to engage directly, publish automatically, report and even look for user generated content and discover a crisis the minute it bubbles up and have better control over brand alignment. As our platform serves to multiple use cases we provide a thorough and custom demo to all our prospects specific to their use case, combined with detailed documentation on the features you have available we aim to prepare you with all information you need to evaluate. We also ensure that our cancellation terms are clear so that both parties have all the information they need going into the contract. Nevertheless, we understand that there is functionality such as checkIns & reviews, which are important to you, and we want to work closely with you and your teams to ensure that you are satisfied first with Falcon as the social inbox to consolidate your engagement but also in relation to some of the additional feature requests you have mentioned. "Great social management and ads platform"
The ability to see content visually, tag content by category, make calendar notes for campaign start dates, promote all from one tool, easy to copy to other platforms. Reports across different platforms can be difficult to compile. For what was offered, the price was very reasonable for us to manage one main page and almost 50 other location pages, as well as one account for other platforms. If you schedule a lot of ads from your posts, this is highly recommended. It's incredibly beneficial to be able to post, copy and promote all in one place. The measurement tools are also pretty valuable. Currently not able to see reviews left on our Facebook pages. Also, reporting can be a little tricky. For example, I'd like to report on one campaign across multiple platforms. Also, multiple photo posts to Facebook have a hard time aggregating into one post result. I have reached out to their customer service and this can hopefully be resolved. "Falcon is a Great Platform!" I love that I can pull posts from all of our business pages into on feed, so I can always see what is going on. I also love the listen feature and the ability to see what people are saying about our brand. It is easy to schedule posts and see when they will impact the most people. The analytics I get have really helped me in my role. There isn't a whole lot I dislike, although I would like to see a "poll" feature in the build section. Our main issue was being able to monitor our many store pages under our corporate page and Falcon has made it really easy to see what is being posted by those pages and also what they have scheduled to post. I also find it a lot easier to reply back to customers as I can organize comments into one streamlined setting. "Superb Social Media Management Platform"
Honestly, this application has more features than I could ever use. Very stable and dependable which is essential for my business. Support was consistently responsive to the few problems I had. The folks on the chat support were wonderful. Recent changes to the Instagram posting was a huge step forward. The dashboard tools used to be on the top of the screen and were moved to the left-hand side. Never liked that change. Also, I would have preferred to be able to post to all channels as an option and not have to jump to each social media platform to post to all. As a single user on the system it was by far this most cost-effective and easy to use. Was able to manage hundreds of channels at one time with ease. What more could you ask for? When Falcon lets me know what times work best to post. Geo targeting specific states. That the geo-targeting is limited. Also, not having the option to target Spanish speaking communities on Facebook — this is very important since we are focusing on diversifying our followers. Not having a user-friendly app. Cannot geo-target zip codes. Makes life easier when scheduling post, one thing less to worry about. Instagram is often disconnected, so someone needs to go back and set it up. As for benefits, it makes work a little easier when I can repost the same post on a different social media platform. Another thing I like is how easy it is to post videos on Falcon. "Falcon Engage Rocks (And Support is Fantastic!)" We've been using Falcon.io since August, and it has been wonderful. Our feeds are streamlined in one place, and the interface is visually clear. The fact that images are integrated is miles above our previous tool. Plus, Falcon.io's support staff is out of this world. The team there are dedicated to creating the best possible products and take feedback in stride, following up on issues to make sure they've been resolved, as well as proactively looking for ways to make Falcon even better. Most of the things that I don't like are out of Falcon's control and rest on Instagram's API. It would be great to have the ability to like comments left on Instagram posts and check DMs without having to navigate to the app itself, but again, that's out of Falcon's control. The issues we've had have been minor and quickly rectified. I'd still like to see a "Select All/Deselect All" function in the feed setup menu and a simpler way to Mark All Read within a feed without having to go property by property. Slack integration would also be great. Falcon is a fantastic tool for social media monitoring and publishing. Their support team is always available to help solve problems you may face and are quick to do so. You will get exceptional service for an exceptional product with Falcon. We're able to manage accounts for our many clients more quickly, and Falcon lacks the limitations and quirks of our previous program. Our team is able to work more cohesively and efficiently as a result. "The Most Robust SMM Software Available"
The time it saves us... Managing multiple social media accounts for multiple clients MANUALLY is ridiculous. There are plenty of software options available for automating the social media management process, but Falcon is the best out there. I spent over 60 hours going through different options, walkthroughs and trials - Falcon won out. I did the work so you don't have to... You're welcome ;) Their Instagram posting method is also the most stable + fully legal. There really isn't a whole lot I dislike about it... Initially there was no Android app which was frustrating - that has been corrected within the first 3 months of us using it. The Android app is a little buggy on Oreo, but still works. The pain of social media management for our clients is gone and as a company we have seen better engagement with our creative, and clients who are more responsive to our suggestions based on insights gained. "One of the best Social Media Suites out there!" We have been using Falcon for our ventures (I represent Venture Capital Project A from Berlin) for over 4 years already. We appreciate easy communication with the team, constant development of the tool, and reliable support. Falcon for sure makes the life of every Social Media Manager easier. Not much that comes to my mind. I would work on the Reporting a bit to make it even more intuitive. Social Media Managers generally don't like numbers too much so it is important to make it as easy as possible for them to analyze the data. At the moment we can export numbers from our social media platforms (Facebook, Instagram etc) but we generally combine them with Google Analytics numbers. This is currently not supported on Falcon and leads to us spending more time combining various reports. GA integration would be great. If you are looking for a professional tool that will skyrocket your social media activities, look no more. We have been using Falcon mostly for Scheduling in the past but now we expand and set up lots of Listening projects (monitoring hashtags for example). Engagement makes sense to use within Falcon if your social media audiences are a bit bigger already. Since we work with companies of different size, they all use the platform slightly different. 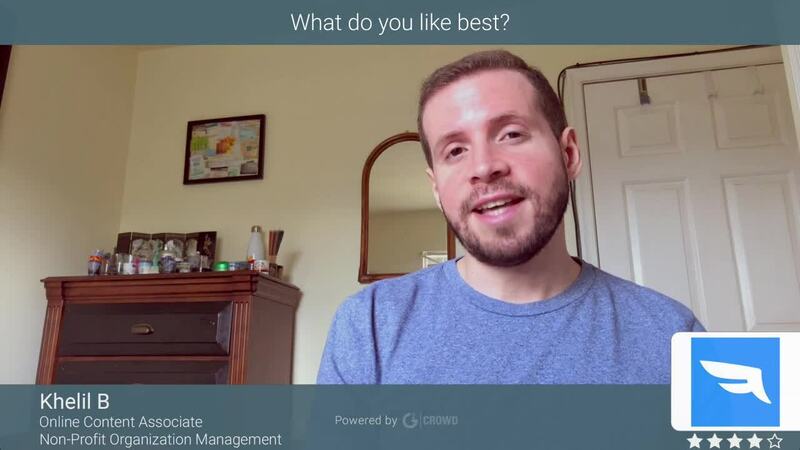 "Falcon is a good answer to campaign management "
I like that you can manage different channels, schedule out social posts on multiple platforms, and that you can plan out campaigns within teams. I don't think the monitoring of social platforms is user friendly. It overlooks a loy of incoming messages. Falcon is great for collaboration, planning ahead, and monitoring different outlets in one single spot. I would also recommend taking advantage of the reporting functions and influencer discovery. Our team is able to view everything that is going out onto our platforms in one central location. It's very beneficial for us to add in campaign details to the calendar. It also saves a lot of time by creating reports for us. Instagram Feed sceduling, which is great for the editor and makes it possibilty to up the quantity of posts. The Measurement option and the possibilty to export data about Instagram Feed and Instagram-Story-Engagement, Clicks, Tap Backs, which makes a good basis to give editorial teams feedback about their Social performance. I like the Followers analysis which gives us a good overview about who they are, when they are active etc - maybe you could include the possibility for the follower analysis of a single post? We can't scedule Instagram-Stories and the whole surface of the tool is a bit confusing and not intuitive. Its okay for Social Media Manages to use - but for editors who scedule their own posts it would be better if we had a "tab" on the surface which is just for sceduling (easy to understand, intuitive) and then one surface which is for all the other options of the tool, which is just important for strategic purposes an monitoring. Good for sceduling and measurement, busy surface not easy to use for editors in general. We use the Insta Feed sceduling option which benefits our editors workflow. Unfortunately due to copyright issues (based in Germany) we can't use the crossposting option so often, as we still need to get release on the image rights. I would like to see linkclicks in the Instagram Stories analysis. When the timeframe is more than 2 weeks the Instagram Stories are overlapping which makes it impossible to see the exits, views, impressions etc. "It makes social scheduling a hell of a lot easier." The filters are incredibly helpful. I schedule social content across numerous platforms for 5+ brands. The filters allow me to go back and forth with ease. The labelling is also very helpful when working with fellow colleagues, to keep track of the type of content going live and being able to pull information for reporting. We would benefit greatly from having access to social reviews for both Facebook and Google, so we're able to monitor, record and report from one program. This isn't really a feature anywhere yet, so we're happy to keep tracking in our own way for now. It would be nice to have everything under one platform and to be able to report further for this. I would definitely recommend Falcon to both small and large businesses. It's simple to use and the support team really do go above and beyond. Any issues we have had have been resolved quickly - with REAL people. Our business is expanding rapidly and we still have quite a small team. Falcon allows us to flip between scheduling, reporting and community management with ease. Previously this was all very manual and time consuming. We're able to spend more time producing higher quality work and showcase what we actually do, to other departments. "A+ for Falcon Content Scheduling!" Falcon's Content Pool and Publish features are seamless! Not only can my company create and schedule content in mass quantities, but we can also communicate within Falcon to make the editing process painless and timely. The "Schedule and Copy" feature is also a lifesaver and keeps you from having to create multiple versions of the same content for each different social media platform! My team came across some limitations when it comes to engagement through Falcon and ended up having to remain in each platform natively to best monitor and respond to comments, messages, posts, etc. for Facebook and Instagram. We've also had some glitches with the labelling system and have had to work around reporting inconsistencies. I'd also be interested in seeing a better option for multimedia posts so that the Hub App isn't an additional step needed to publish carousel posts/multimedia videos, etc. Don't hesitate to share your feedback or individual needs with the Falcon support team. They are proactively open to suggestions and are motivated to continue updating their product to best suit the needs of their users. Our company works remotely from all across the US and Falcon has given us a way to easily communicate internally. The Listening module has also kept us in the loop so that we can post fresh and competitive content for our clients. "Falcon is good but needs work. " What I like best about Falcon is I can manage all of the business pages on one platform. I can see messages as well as comments. I also like how I can post on several pages all at once on one platform. What I do not like about Falcon is how I cannot react to comments, it only gives the option to like. I don't like how it filters comments and messages. I wish there was a way to separate the two. I do not like how you cannot filter comments. I do not like how I cannot use it for a page with over 7 million followers (Must Do Travels). I do not like how I cannot post gifs or stickers. I wish we could send a thumbs up when sending messages. It works great if you have a small audience and only want to do the bascis. We are able to connect to our members all on one platform and have a higher response rate. "Powerful in some ways, limited in others"
Ability to publish/schedule posts on multiple platforms from scheduled/published posts. Makes for planning out the calendar much easier. The reporting on Instagram posts is much easier to navigate or pull info from than the native reporting which is basically on a phone. Lack of aggregate analytics from all posts or over a time period. Seems to me that I can only look at the stats for an individual post, as long as it was scheduled or created from Falcon.io. Hard to find some aspects of consumer mentions. Gets very confusing and messy when using enterprise level where multiple teams have access to the account and have various reporting dashboards built out. Get through the training programs before using, otherwise you will think you know what you're doing (the UI is well done) but might not be using it to its full potential. Ability to have multiple distributors tap into our social content calendar to publish posts on their feeds without having to send assets via another platform. Our international partners can share/schedule an existing post with their translations very easily. Comes in super handy when preparing for seasonal launches of product across international lines and different time zones. Also helpful for those international markets to do their own reporting on their social platforms. "Top of the Line Social Media Management"
Falcon is the best tool I've used for managing social media from all angles. From engagement to publishing, to content management, reporting, and monitoring. I absolutely love having all of these features available in a single tool. The "Schedule & Copy" feature is one of our favorite time-savers. Having the ability to schedule across channels, while optimizing the post to each channel, is essential. Our biggest problem is with the limitations of LinkedIn integration. I would love to be able to monitor comments and reports of LinkedIn. While other social management tools offer these features, Falcon's features keep us using it, We would like to see these features added soon, in addition to the ability to post videos natively to LinkedIn. 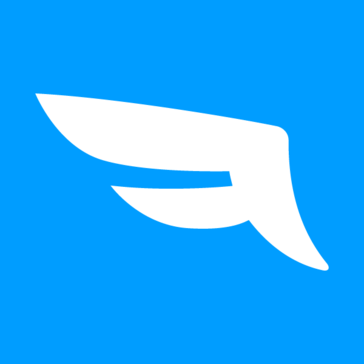 We recommend Falcon to anyone looking to streamline their social media management. Being able to manage social engagement, publishing, content management, reporting and more in one location saves us valuable time. As an agency with multiple clients running campaigns on multiple channels, Falcon has helped organize our clients. The team features also help us manage social engagements with our clients. "Great capabilities but have experienced bugs"
Our team experienced several difficulties with the app, scheduling and notifications. Approvals were not working as well as notifications for scheduld content for some time. We have also experienced other small issues with the connectivity of channels and our accounts through the site and the app that have made a great tool frustrating at times. Take a look at your time spent doing manual work with your current tool or tools. One thing that makes Falcon extremely valuable is the way it pulls in the work of many different types of tools into one. The reporting can be customized to suit your individual company needs, and allow you to pull even more value out of your social analytics. The labelling has made it easier for us to track performance of different types of content and creative. Combined with the reports, the tool has helped reduce the amount of manual work for producing our monthly reports. The scheduling and hub app have significantly reduced the amount of manual work and time spend on posting content. "Convenient Content Calendar Management and Measurement"
I enjoy the ease with which I can create one post and copy it to different platforms. It saves me a lot of time as a content coordinator for four brands. I also enjoy the fact that I can create a quick report when I need to know one piece of information. The fact that Instagram story metrics are included is a benefit that many other platforms do not include. The image editor is a little glitchy and the measure tab doesn't let me combine multiple platforms together in one report. The hub app hasn't worked for me when I schedule videos ahead of time, so I still have Schedugram to schedule Instagram stories and videos ahead of time. The next step that Falcon really needs to take is enabling Instagram story scheduling and video scheduling for Instagram. It would also be great if Falcon could integrate with Klaviyo so that we could connect our customer cards to their email profiles. We are improving our customer service and tying social media to business goals. We are also saving a significant amount of time by having the ability to post to 3 social platforms from one place. I like the fact that it has a GUI that's easy to learn, that they have support ready whenever you need it and that you can use tags and content pools. The scheduling part is easy to use, and it even alerts you whenever your pictures' format size is not supported by the social platform. The fact that there's currently no built-in ad support, and that sometimes it takes a few steps to find out in-depth data (especially for Instagram). Also, the fact that the measure tool can't create custom measurements with fixed dates is sometimes annoying. Every first week of the month I extract the reports but I have to change all the dates in my reports first, while there should just be a selection that says 'previous month', 'previous three months', etc. Use the content pool! It's reliable and easy to use, but you have to let your colleagues know that they can place and use content there. Also, place hashtags on as many items that you put in the content pool so that it's easy on days without inspiration. Falcon makes sure that we have all our incoming customer questions in one place and that we can easily switch from engage to publish and measure. The listen tool allows us to check how many times our hashtag has been used or when we were tagged as a user by our fans or customers. "A single place to act and analyze your social media actions"
Building campaigns that could be shared with a team, - it provide us with an opportunity to gather feedback on an early stage of our Social Campaigns and to execute them more efficiently. The capabilities of the platform to to send fast replies on different channels and to react properly to comments and Direct Messages, by knowing the communication history with the follower that helps us identify the advocate,s and haters or tho identify the areas/products/service of interest. Lack of metrics that would help to build and analyze audiences, more attribution options would enhance the platform. Easy to use tool that provides not just the landscape glance, but you can go in details, keeping an eye on the history of communication ability to identify your advocates and to nurture this relationship across the different social channels. Ability to manage our online reputation on various social media channels and to add human touch to all our communications fast and trustworthy way. Managing the Campaigns internally by using the campaign tool and assigning teams to each one. We have introduce a process where based on the Falcon platform we have involved the customer relations in order to handle complaints in such a manner that would turn unsatisfied into happy customers. "Great tool and great partner to work with!" I love how easy our content planning has become with Falcon. The best thing is the transparency across all teams and channels and the ability to give many people (restricted) access to certain channels without giving them access natively which would carry risks. The customer support and customer success manager are great. It's buggy sometimes. You feel like they're implementing the best next feature on the one side and things seem to fall apart on the other side. They're always very helpful if this happens but it is a bit annoying. There are sometimes promises made which cannot be kept. Some things sound great in theory but aren't as great in real life -- referring to the content pool. The reporting is not always accurate and we cannot get the KPIs we really need. We have many manual processes around content performance and analytics and this is not ok, given how much we pay for Falcon. The tool can improve your social media activities by bringing transparency throughout different teams and channels. The ability of having one platform to collaborate with many colleagues that take part in the global and local social media activities is a big benefit and a problem that we have solved. Falcon is the solution we had been looking for and came at an incredibly reasonable price. It provides us with a way to not only schedule and publish content but also engage far more effectively with our customers across all brands and channels. The engage element assists so much with community management and being able to label and report on these conversations is amazing! The ability to assign messages and comments to other team members is a great feature for our growing team, as well as being able to leave notes. We're now able to build customer profiles based on how they engage with our brands and create custom audiences based on these profiles. The listening functionality is great and all quite straight forward to use - this aids in crisis comms management as well as tracking trends which before Falcon we weren't able to do. The number of reports we can pull across all 50+ accounts has saved us so much time. Importantly, our account manager is great and the support provided is fast and helpful. I can't really fault Falcon. We experience little glitches from time-to-time and experience minor problems, but the Falcon team are always keen to hear suggestions and help wherever possible. Of course and at no fault to Falcon, we can't pull direct messages from Instagram so that's still a manual process. Having 8 accounts that we post to on a daily basis, the publishing view can be hard to read at times. Filters help but the monthly view would be better if you could preview scheduled posts at a glance. We are now able to be far more accountable for community management and our responsiveness due to the parameters we've set and can measure ouselves against. We can feed so much into the rest of the business based on labelling of direct messages and comments which we were never able to do previously. The listening capability has so many benefits, from tracking keywords to other competitors and setting alerts - it's been a very powerful tool. When I first started using Falcon, I didn't know how much I needed it. It instantly cut my time managing and responding to customers on social in half. I didn't have to switch between different websites to get my job done, everything was there right for me in one dashboard. I love that ability -- the ability to get everything done in one place. I would like the ability to respond to Instagram comments and maybe more robust analytics. If you need a social media tool that will help you do everything related to social media management, Falcon is it. Whether you're a one-person team or a huge corporation, Falcon can be beneficial in many ways. Time has been given back to me when using Falcon. It streamlines the way we do business and it's really nice to have one tool that helps you do everything related to social. One major benefit I realized was the social listening tool. I don't know how we would've done this successfully without Falcon. It has made our customer service team stronger and our content development and management better. "Falcon combines analytics and publishing platforms but still has its pain points"
Some limited functionalities, for instance there are some limitations to the kinds of posts you can publish (ex. video or multi-image posts on Facebook). There are still a few types of posts that are easier to do in the native app publishers. The analytics could be a lot more robust: A demographics breakdown of each week's new followers, for instance. It also would be incredibly, incredibly helpful if Falcon had hashtag tracking and measurement. And the app / mobile experience could be significantly better. -Consider what you post most and what analytics you rely on. Does Falcon offer this functionality? For instance, if you post a lot of multi-image posts to Facebook, Falcon may not be the right fit as they don't currently offer the ability to do that. I love that it has everything all in one. Publishing, listening, monitoring, and reporting. I love that the tool is so robust and the amount that you can customize reports. From an agency perspective, it is nice to be able to look at all of our clients at the same time but also have the option to separate them out individual. I love the way the platform looks. It is a beautiful platform. I don't think that you can't publish more than one photo without creating an album. I wish the building reports tool was a little more user friendly. Once you get the report where you want it, it's perfect, but that initial build out is extremely time consuming. We have been able to become more efficient and access clients needs faster. It is easy to keep track of key words when clients have a crisis situation that needs to be monitored. I like that you can set up alerts and be notified instantly if increased activity occurs. "Good Start, but some features missing"
Engage with users, publishing and promoting post in one single tool is great. Promoting for instagram is not available, at least it is not shown in my account. No paid reach insights withing the measure tab. The organic insights are not delivering the correct data all the time. Also, there should be a shorter period of billing. 6 month in advance is not very flexible, even more if we think about the high price. Proof, if you really need all the features given by falcon or if you could meet your needs with a cheaper tool that delivers exactly the features you need. Managing several social media channels from one surface. The greatest benefit is, that many features are combined in one tool. Also we are using the engage feature a lot. This is very helpful if one social media manager has to interact with more dan one community. "Comprehensive Social Media & Advertising Tool in One. " There's really not a lot to dislike about the product. The mobile app extension of Falcon.io can sometimes be buggy and crash. Lack of features from the mobile version makes it difficult to make changes on the go. 3 apps instead of one. Analytics has become significantly easier. Tracking labels & customizing reports to our needs is a game changer for the efficiency in the team. "Measure, Post and Listen with one tool, but needs improvements"
The platform is intuitive to use, gives a mostly accurate preview of the post will look like on the platform. The photo editing tool is easy to use and conveniently placed. There is a help instant messaging box on every page and the team responds quickly. I like how it allows multiple users to weigh in on a post through a message column on the post page. The post preview includes what it will look like on a desktop and on mobile. The content calendar preview can be sorted by team and gives a great visual representation of your week or month. The preview of the photo on the post creation tool doesn't show the full photo, even though when it actually posts, you do get the full photo. There are no LinkedIn analytics available through the tool. The HUB app that accompanies Falcon has been quite wonky lately, but the team has been pushing out updates to fix it. In the post preview, it's a little too easy to delete the photo after you upload it - the edit and delete buttons are very close together - they should have a "are you sure" pop up to prevent that. To post a photo slideshow on Facebook, the tool requires you to upload a link and add the photos to the link preview. The copy tool to post the same post to multiple channels won't let you copy multiple photos. the approval process could cause multiple emails to go to the approver if sending a week's worth or more of content for approval. We have figured a process that avoids that. Give them lots of feedback on any problems, they do listen and they do push out updates. This tool resolved a huge approval process problem we had. Now the approving editors can simply go to the HUB app or look for "awaiting approval" section of the desktop version. The content calendar visualization tool has also helped us track when and where we are posting content. It also allowed us to use one tool for listening, posting and measuring. "Everything you need in one platform"
Falcon allows us to manage all our social media channels in one place; with just one inbox for all channels, we can ensure that our customer service team doesn’t miss any questions or comments. We can prepare and schedule social media posts so that they are published with the right content, at the right time and in the right channel. Falcon's customer care and support is extremely helpful - they are always quick respond, eager to help and to understand what help we may need, and generally proactive. The fact that the tool has a user-friendly and attractive interface is also important. It is a high-priced tool, so in order to justify the cost you need to consider your number of social media channels and the size of your team(s). Falcon gives us a great overview of our social media activities, allowing us to manage publishing, customer service and listening in one place. We can also follow up performance and activities through the reporting section. The interface and help function makes it quick to get started and easy to navigate. Managing different users and teams is straight-forward. Falcon.io has allowed me to better organize all of my content and has streamlined the posting process. Rather than logging into several platforms each day, and often several times a day, I am now able to do everything from one central location. This includes publishing, engaging and tracking metrics. The ease of transaction is truly amazing, especially as I am the sole person managing my organization's social media. There isn't much I can add here. Falcon.io honestly meets my needs and I know they have increased functionality on the way, so I'm looking forward to seeing what more can be offered. I would recommend testing it out before jumping in. It's always good to test it out to ensure it meets your needs before fully committing. I know Falcon.io let me do this and it was one of the biggest selling points for me. As the sole person managing my organization's social media, Falcon.io has made it easier for me to do my job day to day. It's truly a one stop shop that allows me to take care of everything social, including providing a listening platform, which was something I was in search of. Falcon enables organisations and businesses the opportunity to oversee all social media platforms. It also allows teams to work collaboratively together and discuss ideas within the platform, as well as send posts for approval. The software saves you time when scheduling content, as well as giving in-depth reports on different aspects of your channels. I also love the build section where you can create your own mini webpages! Sometimes the software does bug out which can be frustrating, especially when creating content for Facebook that won't format properly. However, the support team are always on hand if you have any issues and rectify issues quickly. It has everything you need to manage a variety of social channels! Our weekly reach is now 5 times more what it used to be back in February. We can look at who our most engaged users are and what content our audience is reacting to. It has also assisted in terms of scheduling when you need to see an overview of what is going out each day across all channels. Falcon also allows us to keep track of what audiences are talking about, and group individuals into categories depending on their interests and what content they react to. "Falcon has enabled us to manage our social channels globally "
We are present on social media in 29 markets around the world, so we required a system that allowed us to publish content from both a global calendar and a local calendar. Falcon's PUBLISH tool has enabled us to do this with an easy view of all content published and scheduled across all our channels. It is then very easy for each social media manager (for each market) to access the content, localise and publish the content to multiple channels. We would love to be able to engage with our users based on the listening projects we set up in Falcon, however it is currently not possible to interact directly in Falcon, you need to leave the platform. We are also looking forward to Falcon developing it's reporting tool - MEASURE is currently not providing us with the reporting we require. We are saving a lot of time across our market teams, especially in terms of time spent publishing content across all our channels. It is also very easy to respond to our community via ENGAGE. The tool allows us to have a workflow where we are able to see what comments have been read, responded to etc and what comments still need to be addressed. For the DNA Journey campaign that we launched in 2016 we had a huge increase in comments and messages. Falcon enabled us to have a clear structured view of all comments and messages so we didn't miss anything that we wanted to respond to. Falcon makes it easy to draft, send for approval, and copy approved posts to other networks. My manager likes the measure reports to see how our content is performing. They are always adding new features and are eager to know what features I'm looking for. It's great having a Customer Success Manager to work with when I have questions or need help with any of the features. There is also support available through the site and they have always been very responsive. They recently solved my biggest issue which was Instagram publishing. I would like to be able to add Gifs to posts. Using Falcon,m we have been able to keep a closer eye on how our content is performing and use that data to optimize the content we are creating. I have one system for scheduling, boosting, and reporting. My previous system took a lot more time and didn't have the reporting we needed. "The Best Social Media Platform Available"
Customer service is impeccable! They respond in a decent amount of time to all questions and always follow up to make sure we understand the tools we are using. The approval feature is also something that I also enjoy because it allows are department to proof read things before we post them to make sure our message is getting across. I also love the calendar feature because it allows us to see a visual of the content we are creating. I do understand that Instagram is a fairly new added tool to the services, but I do wish the posting of our content was easier. I would love to be able to do everything on Falcon.io and not have to sign into Instagram to post as well, because I feel as if it adds an extra unnecessary step. If that transition becomes smoother, it would be great! Long-term communication planning. Being able to build out our calendar months in advanced saves us so much time focusing on our social media presence and allows us more time to be efficient in other departments. "Falcon Social makes Social Media Management... Manageable!" From the product to the customer service - they have been amazing! We love all aspects of this platform but as a large publisher with many divisions the administrative features have made user management & corporate sharing seamless and frustration free. The training options, content pool and social listening capabilities provide the little extras to get the job done & done well. The team at Falcon is truly 2nd to none - they are personable, prompt and willing to lend a hand when you need it. We love that they listen to our needs and work to find solutions (and new functionality) to meet those needs. There is very little I can say here... we would love to see certain functionality added and we know it is on the roadmap for future releases. It makes social media coordination and dissemination of information easy and seamless within a large organization. And from an administrative and operational standpoint.... there really is NOTHING like it. Social Media Management functionality aside... the administrative and operational capabilities it allows for a large organization like ours would sell me on them all over again. "Couldn't do my job without Falcon!" The Falcon platform had every tool we could possibly need and is extremely user-friendly and easy to navigate. Our team loves that we can do so many functions of our job all in one centralized place. For instance, we can use Falcon for social media scheduling, community management, and reporting and research. We also love that the platform makes it easy for us to share our content with our clients and have it approved all in one place. On top of that, Falcon's support team is amazing!! If I have even the smallest question about one of the features, it's easy to send them a quick message, and I always get a friendly and helpful response within minutes. Our account rep, Matthew, has been diligent about making sure we are trained on all of the tools that we need and up to speed with the new features as soon as they come out. It's hard to think of anything that I dislike about Falcon. When we first started using the platform, our team expressed an interest in Falcon incorporating Instagram into the Publish tool, and within a month or so, it was an added feature! It makes it easy to efficiently schedule an entire month's worth of content to our different clients' social media platforms. We also love that the simplicity of being able to share content and communicate with our clients and other team members all within the platform. "Easy scheduling and social media management"
Variety of opportunities and plenty of social media integration possibilities. Quick and effective customer service. Direct preview feature during creation of the post. - Sometimes UI changes are not properly communicated. - Video posting (Facebook) does not work properly and fails publishing. - Struggles to look into individual data from posts and other aggregated data by segments (e.g. labels). - Messaging user interface. It is not clear what has been answered, what's pending and few other struggles. - Lack of a good calendar feature where to display the communication plan (still user spreadsheets to compliment this...). Keep a good supervision of your posts to make sure they are rightly published. Sometimes video posts on facebook fail so they need to be scheduled native. You can set up the basic communication plan by submitting drafts so that you "book" the spots and they are not used by other content creators. It also works as a reminder for managers and other users. - Supervision of content creators via approval feature. - Cross-platform coordination (make sure concrete campaigns are properly implemented in every channel). Very easy to use, everything is laid out clearly and you know exactly what each tab does. It's great that there is also the option to schedule Instagram Stories so that content can be created specifically for this in advance. There is no option to reply to Instagram direct messages on the engage section. At present, you need to go onto the app and reply to message directly here. It would be great if there was a tab where we could see the direct messages like Twitter and Facebook. It would also be great if Instagram posts could publish automatically like Facebook and Twitter scheduled posts. Scheduling content in advance so we can work ahead and keep up to date with the calendar. This allows all core content to be scheduled and then there can be a focus on additional content creation to grow channels. It is also aiding the customer service side to the business. It is easy to engage with customers and answer queries to aid quick responses. "Easy to use platform with great customer service and account management support"
I love that the platform is very easy to use. My team was able to pick it up and use it easily without much training or experience. In terms of the Falcon Social team, they're always very accessible and reach out pro-actively to make sure we are satisfied with the product. The 24h chat is also super helpful so my team can get technical help instantly. It is great specifically for social media management. What it doesn't do is allow for flexibility for other communications team members / marketers to plan for other types of communications beyond social media. For this reason you don't get the full transparency across all communication measures in the pipeline, but you do get transparency and control across all your social media content. Transparency across content being pushed by all social media managers across the company. Community management can also now be done easily as a team. "Best social media platform -- once you use Falcon, you'll never turn back! " As a digital marketing intern for UK2 Group this summer, I worked closely with Mette Louise Schmidt, one of Falcon's customer service representatives. Mette continuously reached out to schedule phone call tutorials so that I could get an in-depth understanding of all Falcon had to offer for social media marketing. She was always friendly and willing to help with any questions my supervisor and I had throughout the learning process. Besides the terrific customer service, I have found Falcon very straightforward and simple to use. The calendar feature is undoubtedly what's made my transition into using Falcon the smoothest, as it provides a glimpse at everything I've scheduled and allows me to go back and click previously scheduled posts to edit if needed. Though Falcon's positive aspects surely outweigh the negatives, there are two specific issues I've come across while using the platform that can be improved. First, I personally wish that I could view all of my scheduled posts side by side to see what times I have selected for individual posts (rather than seeing it vertically in a calendar spot when a certain day is selected/clicked). I say this because UK2 Group has seven brands within both the U.S. and U.K., so choosing times for the differing brands can get overwhelming/confusing. I try to avoid scheduling two things at the same for the same brand - so I do wish there was an easier way to avoid this. The greatest benefits of Falcon are organization and planning! Manually tweeting and posting can be tedious and hard to keep track of on a day-to-day basis, so Falcon has found a way to resolve this complication for businesses. Additionally, I want to note that because specifically UK2 Group has brands across the U.S. and U.K., Falcon makes it easy to schedule posts that coordinate with other time zones (i.e. it can be posting content for us when viewers in the U.S. may be awake, but viewers in the U.K. are not). * We monitor all Falcon.io reviews to prevent fraudulent reviews and keep review quality high. We do not post reviews by company employees or direct competitors. Validated reviews require the user to submit a screenshot of the product containing their user ID, in order to verify a user is an actual user of the product. Hi there! Are you looking to implement a solution like Falcon.io?